Well, not this time, Tractiberries! WHO: You. And your kids. And your mom. And your neighbor. And that guy from work who always brings salads to meetings. Invite ‘em all. PRICE: special Traction group rate of $2.50/lb. Non-organic strawberries are one of the infamous Dirty Dozen: the 12 most pesticide-contaminated fruits and vegetables, according to the Environmental Working Group, even after washing. EWG testers found that 90% of conventional strawberries had at least one pesticide on them, and 70% had at least two. All these pesticides aren’t very good foryou, farm workers, or the environment. - You win because your strawberries are cheaper, fresher, tastier, and longer-lasting. - Farm workers and the environment win because these strawberries were grown without heavy pesticide use. - Local farmers win because your money goes directly to the farmer instead of through distributors. b. Whether you’d rather carpool with us or meet at the farm. 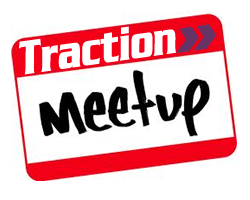 Jake will reply to RSVPs with directions to the farm, the meeting point and carpool spots in Durham and Orange Counties; info on how to get the Traction group rate; etc. Remember also that strawberry season marks the beginning of swimming season. On Memorial Day, Monday 5/31, Tractivists will be swimming, potlucking, and Locopopping together. Look for more info soon, or write to swim@gettraction.org. I look forward to plundering the berry harvest in your company.